The Springs Wing provides a 10 bed specialist rehabilitation service for men with a diagnosis of autism spectrum disorder, Asperger’s syndrome or High Functioning Autism, often with co-morbid mental health needs. In addition to The Springs Wing, the ASD services at the hospital also include The Springs Unit (Low Secure ASD and MH) and The Springs Centre (Crisis ASD, ASD/MH Rehabilitation). The aim of the service is to help an individual transition to more independent living, or supported living service. We can support those who may be stepping down from a low secure environment such as the Springs Unit. We can support men who are not actively showing signs of immediate risk or aggression but who may have deficits in their activities of daily living or require support with their mental health needs. 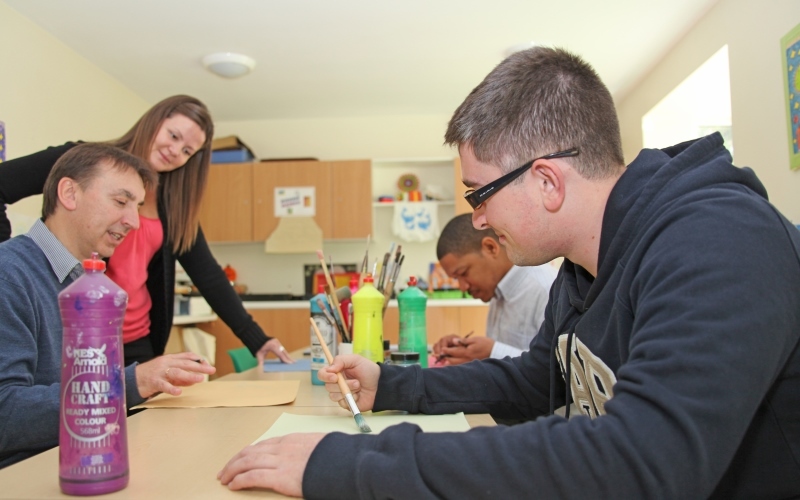 Service users are supported to be actively involved in their own rehabilitation. The team at Cygnet Hospital Harrow are highly experienced in supporting people with ASD and all members of staff are trained in understanding ASD and in understanding and creating a supportive environment for all service users. The multi-disciplinary team (MDT) work together with individuals to provide a holistic, person centered, comprehensive assessment and care plan. The MDT ensures people’s needs are met in a way that helps achieve stability and discharge to the least restrictive setting.